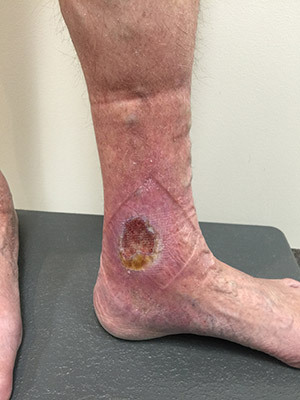 As with endovenous laser ablation (EVLA), radiofrequency ablation (RFA) relies on thermal (heat based) damage to the vein, that leads to immediate closure of the vein. Once the vein is treated by radiofrequency ablation, it will gradually undergo complete absorption by the body and disappear over time. 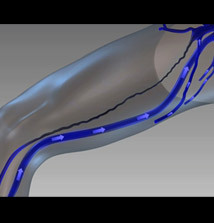 Radiofrequency ablation (RFA) is one of two Medicare-approved, minimally invasive techniques for the treatment of major veins, previously treated by vein stripping surgery. How Does Radiofrequency Ablation Work? The vein is numbed with local anaesthetic, then with ultrasound guidance a RFA fibre is inserted into the abnormal vein through a tiny incision. The RFA fibre is then activated. The RFA fibre has a unique design and consists of a 7cm long active tip, through which the RFA energy is released. The vein wall is heated along this 7cm section of the RFA fibre. The fibre is activated for 20 to 40 seconds for every 7cm length of vein, making the whole procedure quick and easy to perform. The release of radiofrequency energy from the tip of the fibre, produces a thermal reaction in the vein wall along the treated section, resulting in collapse and sclerosis of the vein wall with minimal discomfort afterwards. The published success of radiofrequency ablation treatment is between 95-98%, with far fewer complications than vein stripping surgery. Due to the low temperatures used to heat the affected vein, post RFA discomfort is much less than that experienced with endovenous laser ablation. In our experience, significantly fewer patients complain of discomfort and pain following treatment with radiofrequency ablation than with EVLA. What does Radiofrequency Ablation treat? 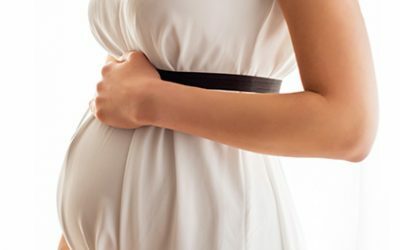 Pregnancy-related varicose veins often appear in the vulval or gluteal region and can extend down the inner thigh and lower leg. 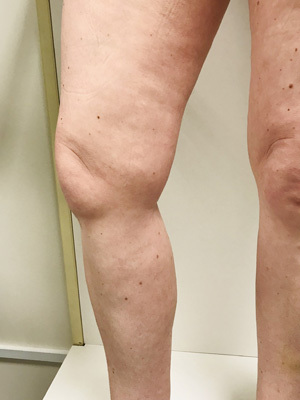 Lipoedema is a chronic progressive condition characterised by the abnormal and excessive accumulation of the fatty tissue, generally in the lower legs and thighs. 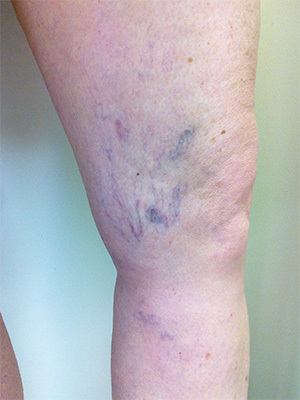 Moderately severe varicose veins are large, dilated, ropey veins that bulge above the skin surface, and are blue-green colour. 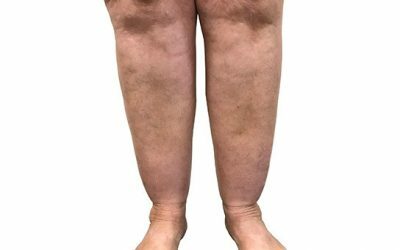 Severe varicose veins are large bulgy veins associated with changes in the skin and soft tissue of the lower leg. Your vein surgeon will choose the treatment that perfectly suits your veins. A duplex ultrasound is used to map out the problem vein. Local anaesthetic is then applied. 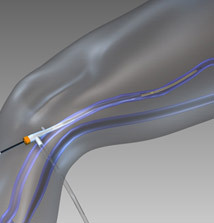 A thin RFA fibre is then inserted through a tiny entry point, usually near the knee. Radiofrequency energy is delivered every 7cm to seal the faulty vein. Walking immediately after the procedure is encouraged. Normal daily activity can be resumed right away, just avoid rigorous activities such as gym workouts. There may be minor soreness and bruising. Any discomfort can be treated with over-the-counter, non-steroidal anti-inflammatories only after consultation and discussion with Dr Paraskevas. A regional nerve block and tumescent anaesthesia is strategically placed along the saphenous vein, which numbs the area. Vein Health Medical Clinic uses the ClosurefastTM Radiofrequency Catheter for all RFA procedures. The ClosureFast™ catheter heats the vein in 7cm segments with 20-second treatment cycles, resulting in vein shrinkage and occlusion. 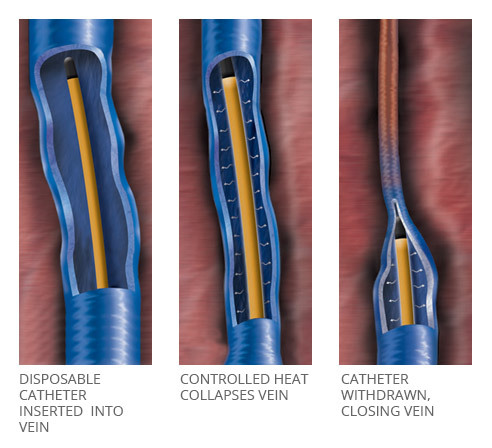 Only the ClosureFast™ catheter utilizes a segmental ablation technique, allows for rapid and uniform heating of the vein, eliminates the variability associated with a continuous pull-back technology. Data from a prospective multi-center study have shown 93% vein occlusion 3 years post-treatment. 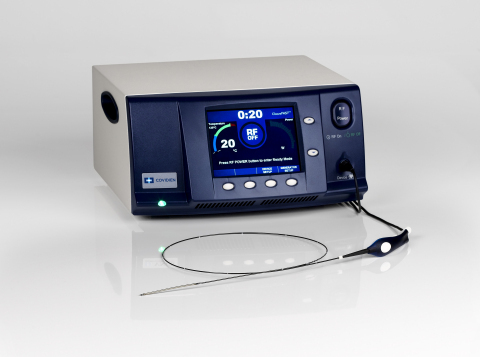 The next generation ClosureRFG™ Generators are designed to receive continuous intra-operative feedback from the RF fibre, keeping the temperature within the vein wall to 1200C at all times. This unique system helps provide consistent and effective temperature-controlled energy delivery. What are the advantages of Radiofrequency Ablation? Excellent alternative to saphenous vein stripping surgery. No admission to hospital or general anaesthesia. Minimal time off work or interference with normal home duties. Both legs can be treated in the one session. 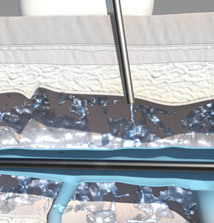 Surface varicosities are treated at the same time with Ultrasound Guided Sclerotherapy. What should you do before Radiofrequency Ablation? Do not cease medications prior to treatment unless otherwise advised. Do not shave your legs immediately prior to your treatment. Do not apply moisturiser on the day of treatment. Wear slacks or loose trousers to the appointment and ensure you have a pair of comfortable walking shoes. Pre-medication is generally not necessary. If you have a low pain threshold, take 2 paracetamol tablets or 2 Ibuprofen tablets (with food). What happens during Radiofrequency Ablation? A sonographer or doctor will mark out the vein(s) to be lasered. A localised nerve block will be performed to anaesthetise the area of the leg to be treated. You will lie comfortably on the examination couch with your leg externally rotated if treating the great saphenous vein. If treating the small saphenous vein, you will be asked to lie prone. A small catheter is introduced through a small needle, into the disease vein. The RF Fibre is then passed through the catheter and into the vein and strategically positioned with Ultrasound Guidance, so that the 7 cm RF Tip is just below the top end of the vein. The RF fibre is connected to a RF Machine. Local anaesthetic known as “Tumescent Anaesthetic” is infiltrated around the vein with Ultrasound Guidance, at several levels through the anaesthetized skin. The RF Fibre is then activated for 20 seconds. A 7 cm length of vein will be heated to 120oC. The Temperature of the vein is monitored and kept at a consistent level to ensure that the vein is heated gently. The RF Fibre is then withdrawn 7 cm and the process is repeated for the entire length of the vein. The procedure is completely painless. What happens after Radiofrequency Ablation? Class 2 compression stockings will be applied by our nurse. Our nurse will discuss all the important post treatment instructions in great detail and provide you with a post instruction sheet. You will be directed to go for an immediate 20-30 minute walk before you drive home. As long as you are able to walk unaided without restriction, you are allowed to drive home. You will be given Dr Paraskevas’ after hours number should you have any problems or concerns. The stockings will be worn overnight for the first night. Following this, the stockings should be worn for a minimum of 14 days but only during the day. They can be removed for showering or when going to sleep at night. Walking for 30 minutes each day is mandatory. Maintain normal daytime activities but avoid standing still for long periods of time. Continue with normal exercise activities. You will be asked to avoid long haul flights (>4 hours of continuous travel) for at least 3-4 weeks after the treatment. If travel is unavoidable, then you will be protected from Deep Vein Thrombosis with Subcutaneous Low Molecular Weight Heparin (aka Clexane) during your travel. An ultrasound check of the lasered veins will occur 2 weeks after the treatment. This is to assess the outcome of the treatment and also to exclude the very low chance of deep vein occlusion. What can you expect following Radiofrequency Ablation? 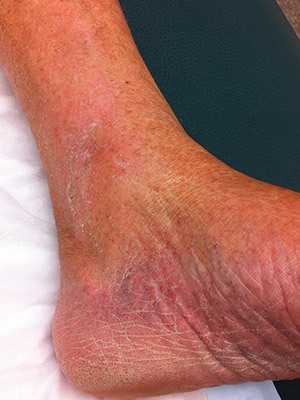 Mild to moderate pain persists for 1-2 weeks along the lasered vein. Post RFA discomfort should be managed with a combination of light walking and rest (with leg elevation), anti-inflammatory medication such as Nurofen or Voltaren and stocking wear. 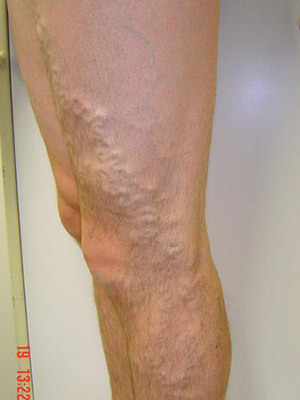 Phlebitis or inflammation may occur along the inner thigh in line with the lasered vein. This is again managed with anti-inflammatories and stockings. Dr Paraskevas must be contacted if this occurs. What are the possible complications from Radiofrequency Ablation? Complications can occur even with perfect technique. Deep vein thrombosis. Internal Vein clots are extremely rare following RFA. Pulmonary Embolus, although reported in the literature, is also very rare. Nerve damage. Damage to surface sensory nerves can occur but this usually returns to normal within weeks to months. Persisting numbness is more common after surgical stripping of the saphenous vein below the knee. It is possible to inadvertently damage the Saphenous Nerve during below knee RFA. Damage can rarely occur to nerves behind the knee causing motor damage. Skin burns have been reported but have never been encountered in our practice. With ultrasound guidance, the radiofrequency catheter is placed into the vein through a small incision and advanced to where treatment will begin. The catheter tip will be placed approximately 2 cm from the sapheno-femoral junction. Again with ultrasound guidance, local anaesthetic is applied along the length of the vein. This is done to enhance patient comfort, provide a heat sink to protect surrounding tissue and most importantly to improve patient contact between the radiofrequency fibre and the vein wall. 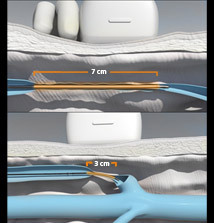 The RFA Fibre has a unique design and consists of a 7 cm length active tip, through which the RFA energy is released to heat the vein wall. 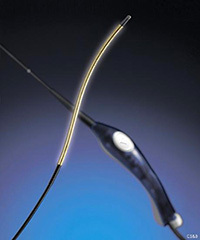 It is generally activated for 20 to 40 seconds for every 7 cm length of vein, making for a quick and easy procedure. The release of radiofrequency energy from the tip of the fibre, produces a thermal reaction in the vein wall along the treated section, resulting in collapse and sclerosis of the vein wall with minimal discomfort afterwards. The RF energy heats the vein wall, permanently sealing the damaged vein. Once closed, there will be no blood flow through the vein. In time, the body will absorb this vein, so that it is no longer present in the leg. 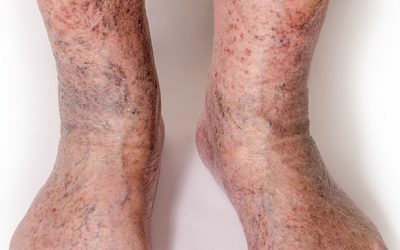 Is loss of the vein a problem? No. After treatment, the blood the used to flow through the faulty veins will be diverted to the many normal veins in the leg. 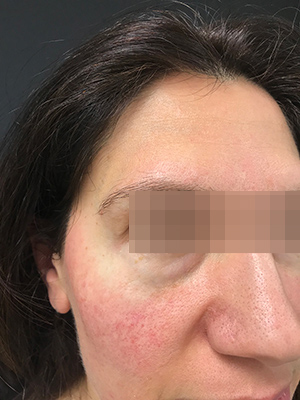 What is the difference between EVLA (laser) and RFA? For one, RFA utilises radiofrequency waves rather than Invisible Laser Light to help heat and seal the vein shut. Secondly, the maximum temperature reached within the vein with RFA is 120oC as opposed to temperatures in excess of 1200oC we see with EVLA. This means that RFA is much more gentle and refined with respect to the heating of the vein and this translates to less bruising and discomfort following the procedure. What are the similarities between EVLA (laser) and RFA? Both EVLA and RFA are thermal ablative procedures – which means that they both use a source of energy to help heat and permanently seal off veins. They are both endorsed by the Department of Health and Ageing in Australia and have the same Medicare rebates. In addition, they are both considered minimally invasive techniques for the treatment of varicose veins and can be performed safely in the comfort of a private medical facility, away from the confines a hospital environment. Published clinical studies show that EVLA has a 98% initial success rate with excellent long-term results. What standards and guidelines are in place for practitioners in phlebology? View standards and guidelines for practitioners working within the field of phlebology. 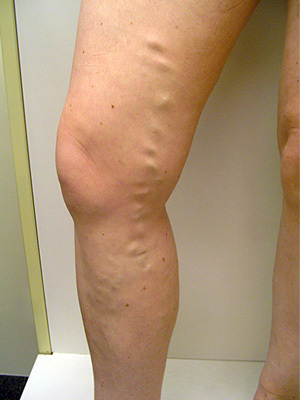 Varicose veins and capillary congestion in the right lower leg. 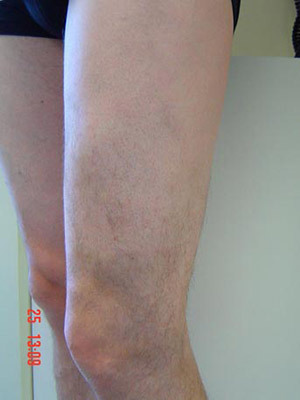 12 months post-treatment shot shows no visible problem veins and return to normal pigmentation. 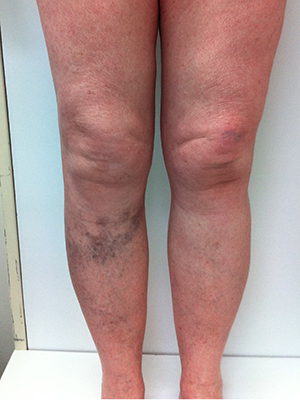 Recurrent varicose veins following 3 stripping procedures, which left her with new varicose veins and scarring. 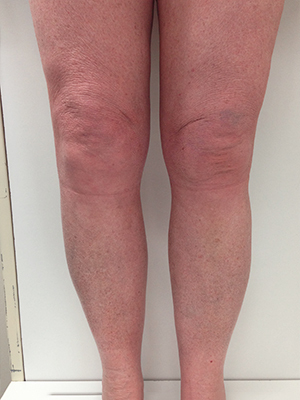 No more discomfort, patient is pleased aesthetically with the appearance of her legs. Left inner thigh capillary networks directly fed by an incompetent internal great saphenous vein. Endovenous Laser Ablation and Sclerotherapy. 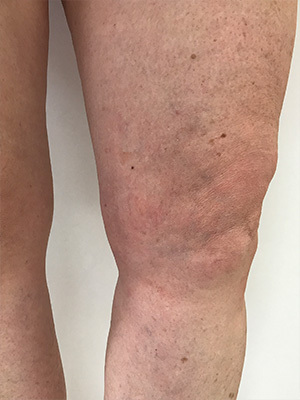 Resolution of the visible spider veins. The patient's healing time extended to 3-4 months and this review at 6 months revealed excellent progress. Longstanding venous ulcer of the left lower leg. The ulcer was successfully and permanently healed with these treatments. 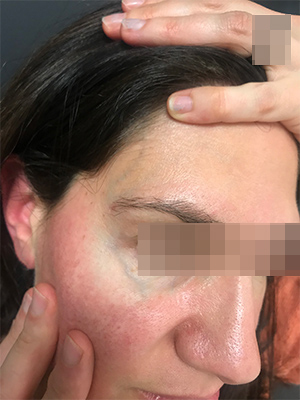 Prominent periorbital veins on temple and under eye. Problem vein is no longer visible. The cost of treating varicose veins depends on severity of the veins as well as which treatment is used. We discuss these costs in detail at your initial consultation. A Medicare rebate is claimable on all varicose vein procedures, except the most superficial spider veins. Our friendly staff will discuss all important aspects of your initial appointment and what you can expect. The Vein Health Medical Clinic is a member of the Australasian College of Phlebology, an Affiliate Member of the Australasian College of Cosmetic Surgery, and an HDAA Accredited Practice. Disclaimer: The Vein Health website features genuine before and after photos of successful vein treatment. However, Vein Health makes no guarantee of specific treatment results, as results may vary from patient to patient. Get your free guide on the Latest and Safest Treatments of Varicose Veins.